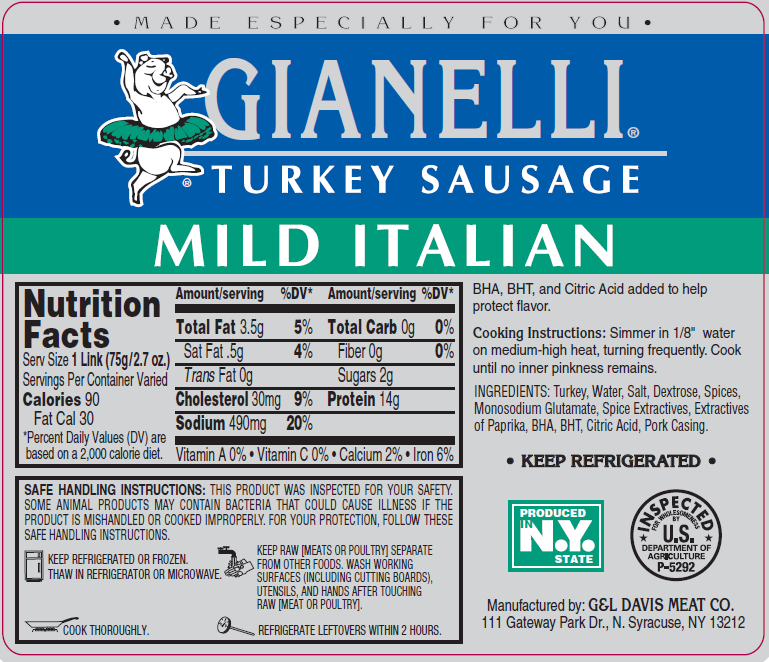 The G & L Davis Meat Co. is a family owned and operated meat processing company that produces the Gianelli Brand product line. 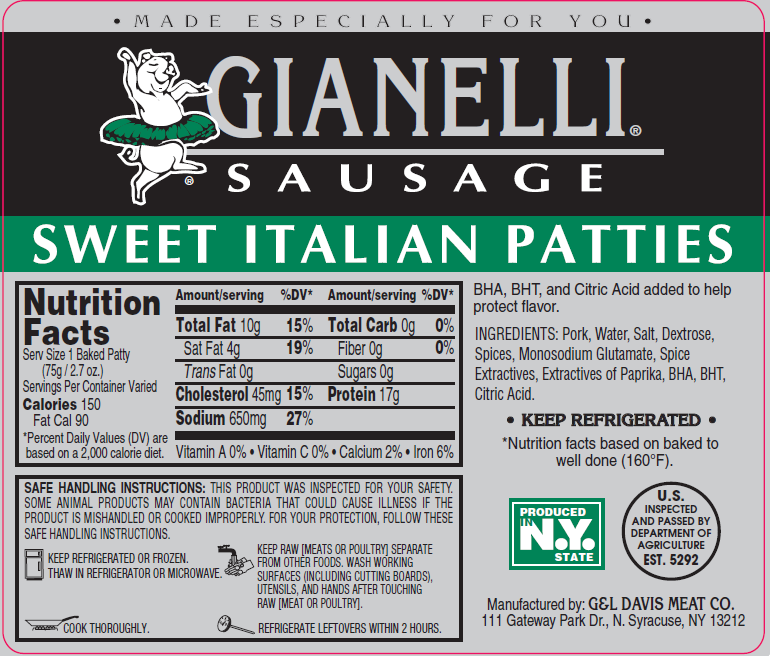 These products are known for exceptional taste and quality. This tradition of quality is at the core of our manufacturing process and serves to maintain the safety and integrity of our products. 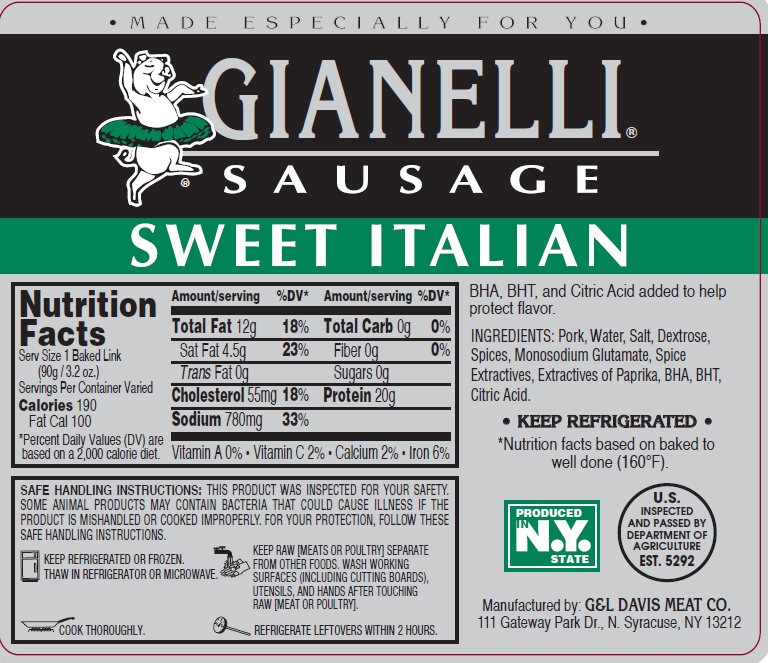 Our product quality standards focus on fresh ingredients, taste and appearance. 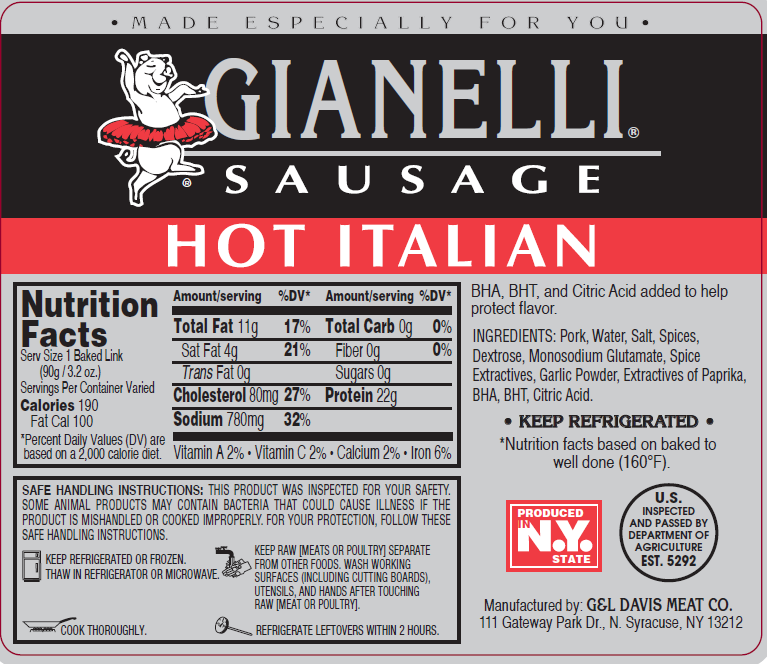 We use only the highest quality ingredients in all of the products we produce. We offer a superior product to our customers that keeps them coming back.  We take pride in being proactive not only in meeting and exceeding regulatory requirements, but also in meeting and exceeding our customers’ expectations using cutting edge technology combined with old school workmanship. 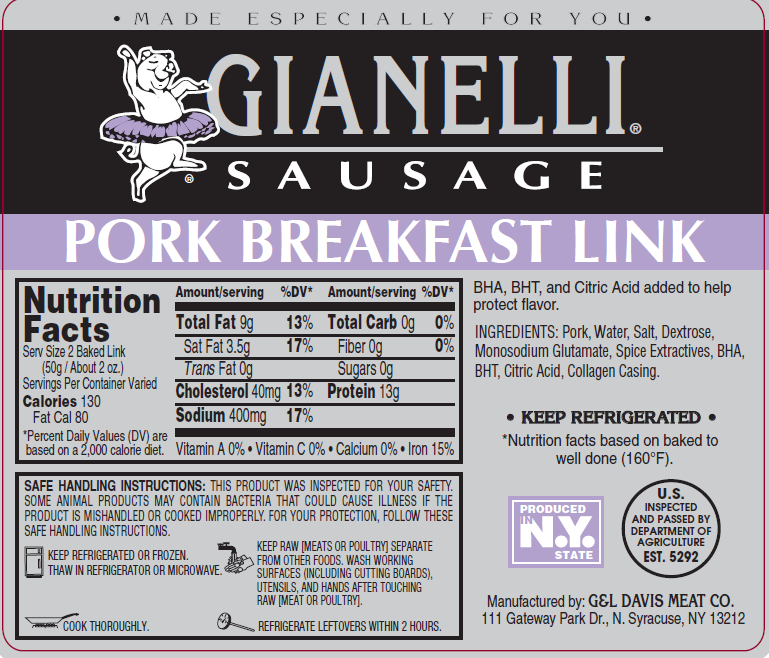 Simply put, we demand from ourselves a safe, high quality product that will feed not only your family, but ours as well. 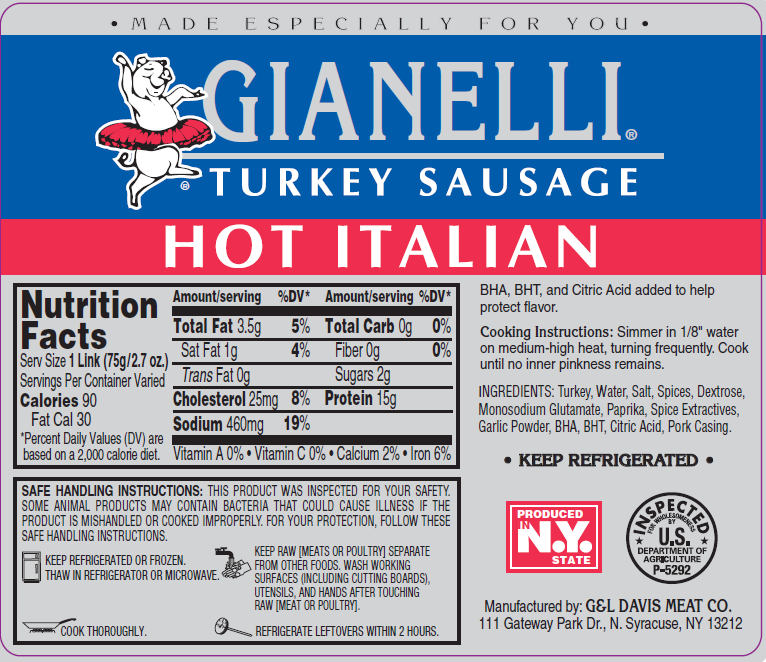 except for our Gianelli Meatballs. 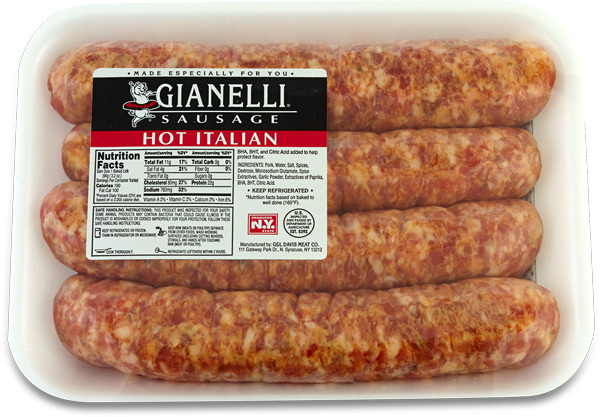 The taste you have come to love from Gianelli with a little bit of heat to add some extra spice. Each package weighs approximately 1lb. and contains four 7″ links. 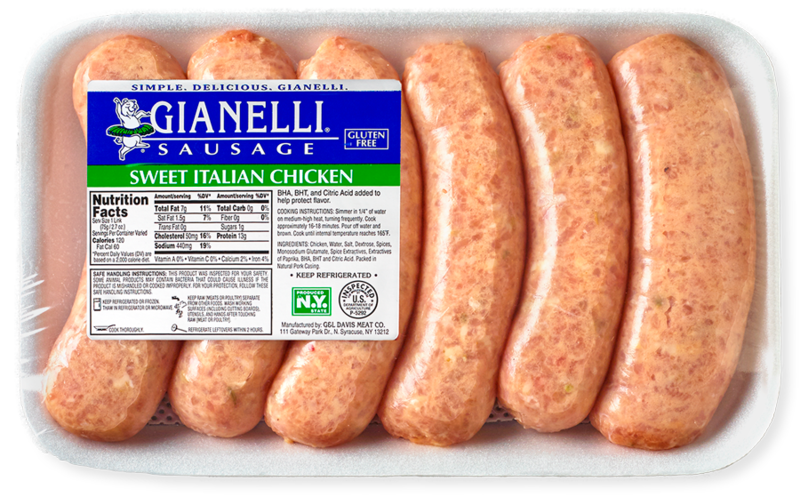 Created from a delicious blend of the finest, freshest, most palate pleasing ingredients available. Each package weighs approximately 1lb. and contains four 7″ links. 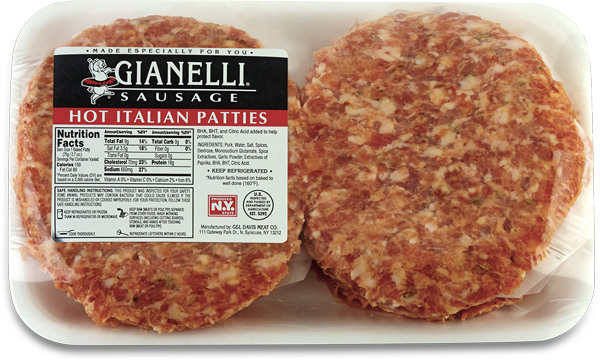 The same bold flavor as our Gianelli Hot Italian Sausage Links, now in a patty. Each package weighs approximately 1.5lbs. 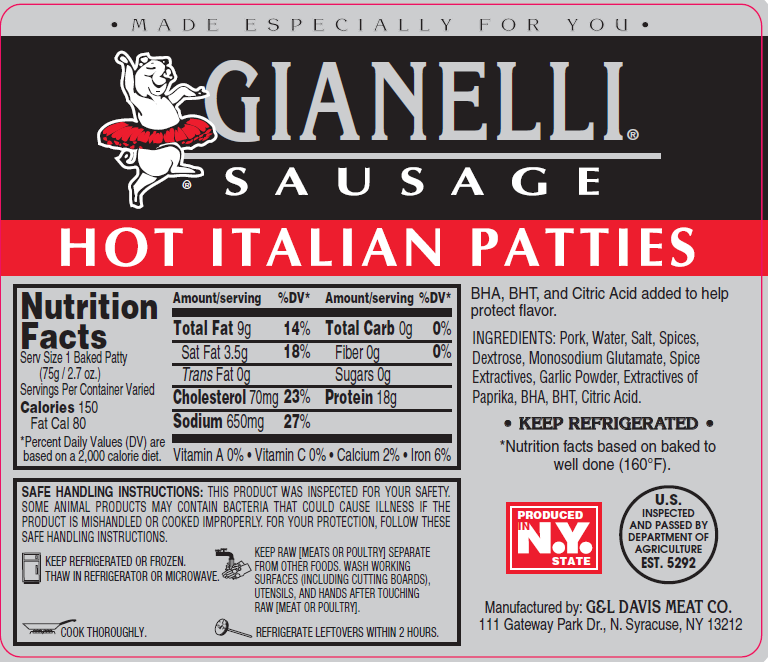 and contains 6 patties. 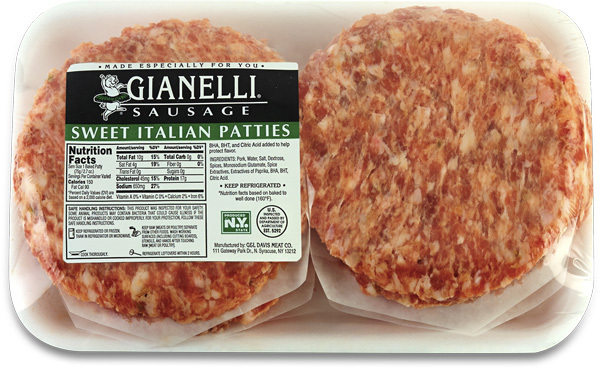 The same mild flavor as our Gianelli Sweet Italian Sausage Links, now in a patty. Each package weighs approximately 1.5lbs. and contains 6 patties. 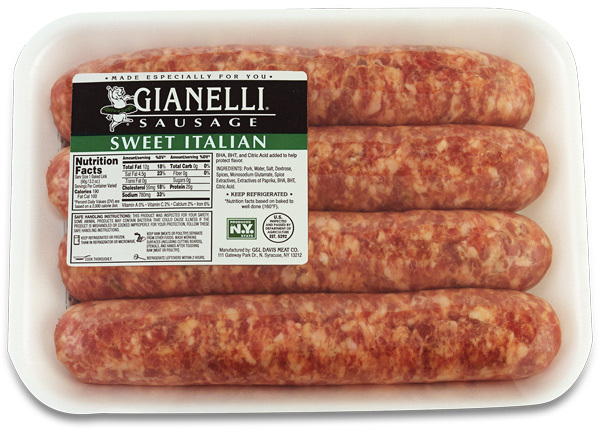 Just as flavorful and delicious and with the same signature seasonings as our Gianelli Pork Sausage,the Gianelli Hot Italian Turkey Sausage Links are considerably leaner, lower in calories and fat content. Each package weighs approximately 1lb. 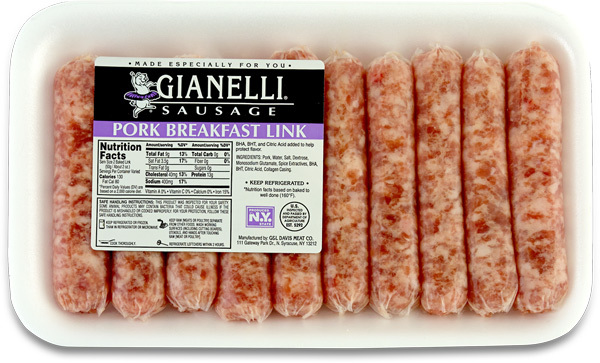 and contains six 4″ links. 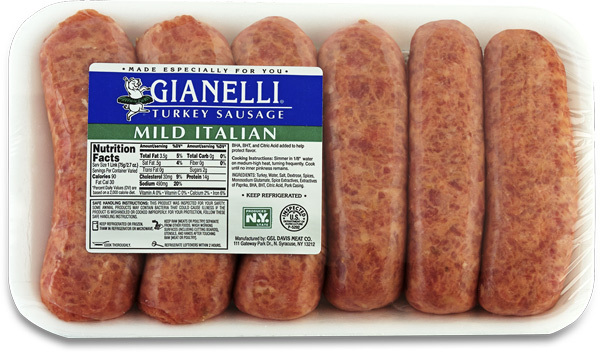 With the same blend of herbs and spices, but less fat and calories than its pork counterpart, our Gianelli Mild Italian Turkey Sausage Links are delicious and nutritious. Each package weighs approximately 1lb. and contains six 4″ links. 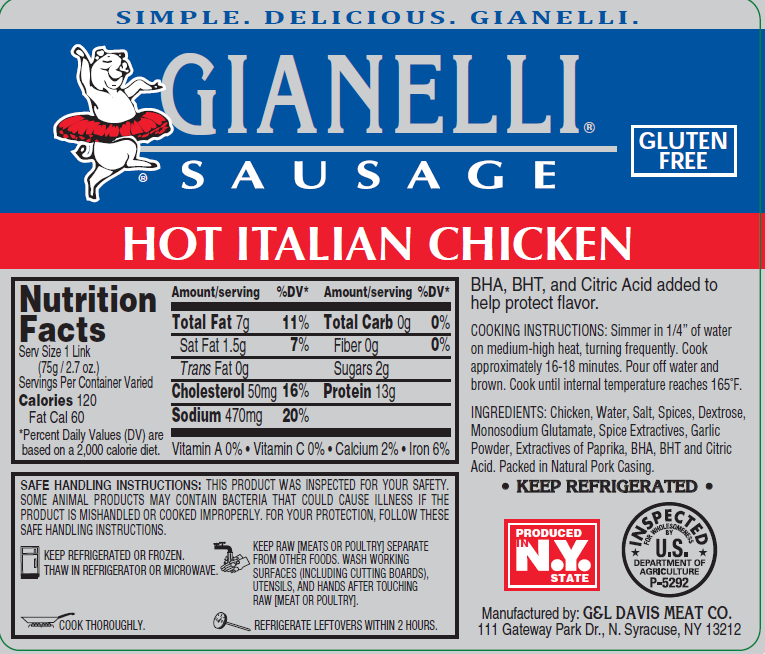 With the same signature seasonings our Hot Italian Chicken Sausage is just as flavorful and delicious with a little bit of heat to add some extra spice. 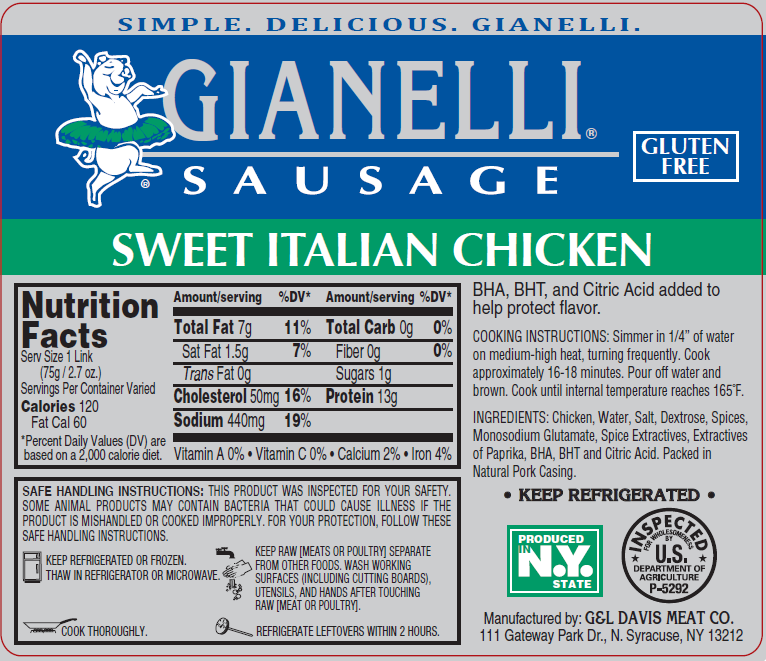 Chicken sausage is considerably leaner and lower in calories and fat content. Each package weighs approximately 1lb. and contains six 4″ links. 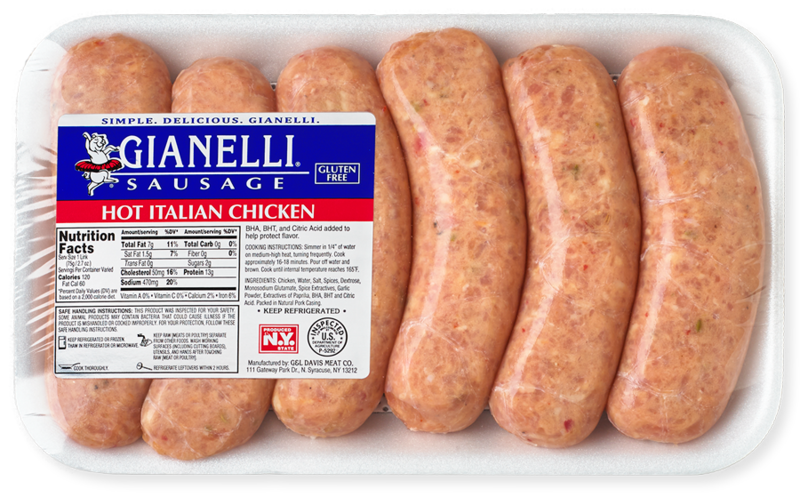 Just as flavorful and delicious and with the same signature seasonings as our Gianelli Mild Pork Sausage, Gianelli Chicken sausage is considerably leaner and lower in calories and fat content. Each package weighs approximately 1lb. and contains six 4″ links. Our original recipe which has just the right flavor to open your eyes and get you moving in the morning. Each package weighs approximately 12oz. and contains 10 links. 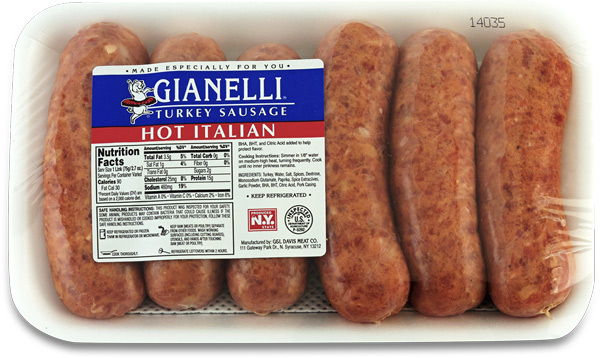 For other Gianelli products please inquire at your local grocery store for availability.